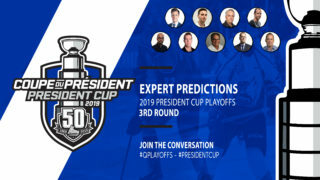 Somehow, despite appearing in the President Cup Playoffs a combined 39 times over the past 21 years, the Rimouski Oceanic and Cape Breton Screaming Eagles have never faced off in the postseason. Until now. 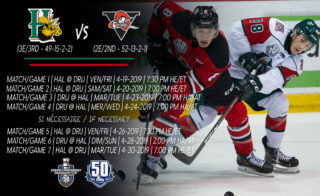 The two clubs will begin their Quarter-Final clash this evening in Rimouski. 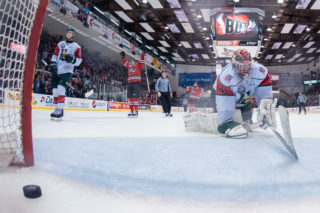 The Oceanic punched their ticket to round two for the first time in four years by defeating the Chicoutimi Sagueneens in a four-game sweep that felt like anything but a sweep. The first two games of the series would be decided in overtime, the later a quadruple-overtime instant classic. The club coughed up a three-goal advantage in Game 1 while also being forced to come from behind to take Games 2 and 3. Despite that adversity, the Oceanic still managed to earn a nine-day break between the first and second rounds. 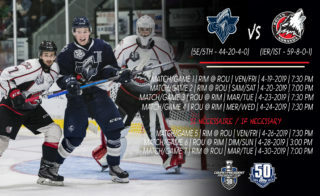 Rimouski’s last appearance in round two occurred in 2015, the year they went on to capture its third President Cup title. The Screaming Eagles are making their third appearance in the QMJHL Quarter-Finals in the past four years. Like the Oceanic, it took a little rallying of its own – not to mention some overtime magic – to earn the berth. 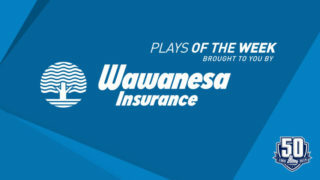 Trailing the Charlottetown Islanders two games to none, the Eagles rattled off four straight wins, including a come-from-behind overtime triumph in Game 6, to secure their place in the second round. 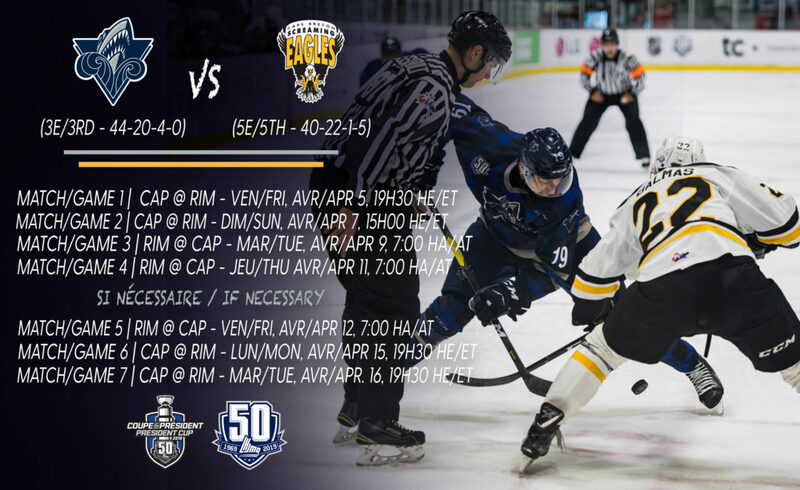 The Eagles will be aiming to reach the league Semi-Finals for the first time since 2007, when they fell to the Val d’Or Foreurs in seven games. If there’s any lack of familiarity between the two clubs, it could be attributed to the fact that they haven’t faced off against one another in nearly six months. In fact, the two regular season games between the squads took place within five days of one another. On October 13th in Rimouski, Kevin Mandolese made 41 saves while Mathias Laferriere scored the game winner with just over six minutes remaining in the third as the Screaming Eagles rallied from a 2-0 deficit to defeat the Oceanic 3-2. On October 18th in Sydney, the Eagles made it a season series sweep when Mitchell Balmas’ goal at 1:37 of overtime gave the home squad another come-from-behind victory, this time by a 4-3 margin. 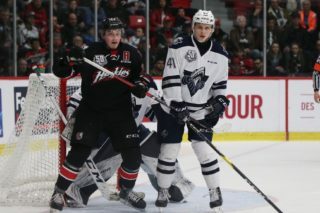 The Oceanic saw five players score at a point-per-game pace during the first round, led by recently named QMJHL regular season MVP Alexis Lafreniere, who produced eight points. He was closely followed by a pair of veterans in center Jimmy Huntington (seven points) and league Defenseman of the Year – as well as Humanitarian of the Year – Charle-Edouard D’Astous (six points). Colten Ellis finished the previous series among the playoff league leaders in GAA (2.04) and save percentage (.926). The Screaming Eagles were led on offense by Balmas, whose 11 points place him in a tie for third in league scoring entering the Quarter-Finals. His five goals are good for a second-place tie in that department. He is followed in the team scoring derby by Laferriere (seven points) and defenseman Leon Gawanke (six points). Egor Sokolov, who produced five points against the Islanders, proved to be a major difference maker in round one as three of his four tallies proved to be game winners, including the overtime series winner in Game 6. Kevin Mandolese begins round two in fifth place among all goaltenders with a 2.43 GAA and fourth in save percentage at .919. He also pitched a 26-save shutout in a 1-0 Game 3 victory over the Islanders. Although the two clubs have not faced off since the early days of the regular season, the two teams still feature some familiar faces. Eagles’ defenseman Wilson Forest spent two seasons in Rimouski before being dealt to Cape Breton in the off-season. Likewise, Oceanic goaltender Ellis, who hails from Whycocomagh, Nova Scotia, made a cameo appearance with the Screaming Eagles as a 16-year-old before he was traded to Rimouski prior to his first full season in the league. Though the two teams have never faced off in the postseason as their current incarnations, that’s not to say the historical versions of the clubs haven’t gone to war in the postseason. In 1995, the Granby Bisons – at the time, two years away from relocating to Sydney – defeated the St-Jean Lynx in seven games in what would prove to be the Lynx’s final contest before moving to Rimouski that off-season.